I've been a fan of Drew Mackie's Back of the Cereal Box blog ever since I first came across it--which was shortly after it made its debut in early 2003, if memory serves. If this is the first you're hearing of Back of the Cereal Box, boiled down, it's a pop-culture blog. Or, as Mackie himself puts it, it's a "record of the weird ways pop culture intersects with [his] life." Often, it's a record of how pop culture intersects with his life as a gay man who has long loved video games. Considering all of the above, it shouldn't surprise that Mackie piqued my interest when he revealed his plans to launch a podcast about video game music. 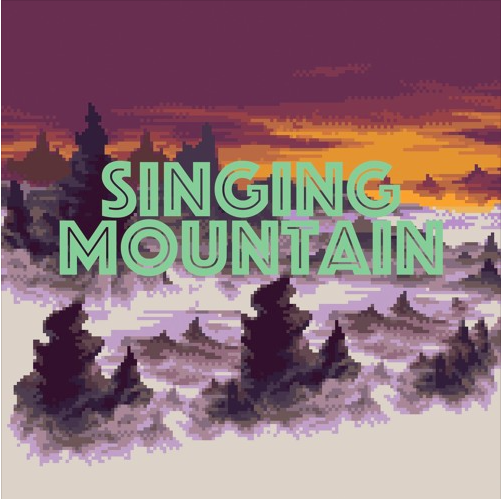 Singing Mountain is the result of those plans. In the four podcasts he's published so far, Mackie's discussed Super Mario RPG, the Mega Man series, The Great Giana Sisters and EarthBound. That's not the full extent of what's covered in Singing Mountain's initial batch of episodes, mind you. The latest ("Ric Ocasek in Moonside"), for instance, focuses on EarthBound while also bringing Mackie's childhood, The Cars, Salvador Dali’s “The Persistence of Memory,” the litigiousness of Beatles and even Janet Jackson into the mix. Hell, Mackie may even introduce you to a new word or two if you keep your ears peeled. He certainly expanded my vocabulary a bit when he dropped the word diegetic into his commentary on Onett's arcade theme.